HDMI 2.1-enabled TVs are almost available. As a result, there is a market for HDMI 2.1 accessories to support the TVs. Club3D is one company that announced its first ultra-high speed HDMI 2.1 cables. These cables can support 48 Gbps data rates, as per the UHS designation. The Club3D HDMI 2.1 cables fully support all of the features that the HDMI 2.1 spec calls require. This full support makes them almost “future proof,” because they are designed to handle everything that the consumer electronics industry will have to offer for the foreseeable future. 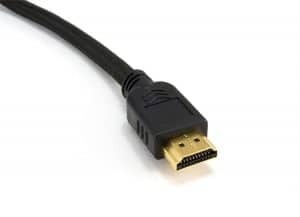 Club3D has not announced the price of its 48G HDMI 2.1 cables. However, you can likely expect to pay more for these cables than the regular 18Gbps HDMI 1.4/2.0 cables.